Faced with tenacious public opposition to the Atlantic Coast Pipeline, the project’s owners are trying an old tactic: greenwashing. Duke Energy and Dominion Energy have announced that they will plant new habitats for butterflies, bees and other pollinator insects on up to 750 acres along the route of the proposed pipeline, including in Eastern North Carolina. The utilities fail to mention that the ACP itself will destroy vital habitats. Nor does it discuss any herbicides that would be necessary to keep the rights-of-way accessible and clear of unwanted plants. Even the most robust pollinator program could not offset the environmental harm wrought by the 600-mile pipeline. According to federal environmental documents, construction and maintenance of the ACP would damage wetlands and waterways, both temporarily and permanently; cause deforestation; displace birds, wildlife and aquatic organisms, even those designated endangered and rare. The Federal Energy Regulatory Commission has alleged that the pipeline owners would minimize or mitigate the harm. More than 160 miles of the pipeline would pass through eight counties in eastern North Carolina. 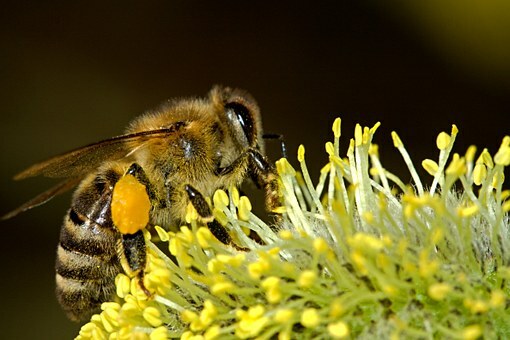 Unlike eminent domain, which can be used to take property for the pipeline (with some amount of compensation to landowners), the pollinator program is voluntary. Chambers of commerce, county governments and economic development officials are advocating for the pipeline, asserting that it will bring industry and jobs to low-wealth areas. But FERC’s own documents show that only 18 permanent jobs would be created in North Carolina. And most of the natural gas would fuel Dominion’s and Duke’s power plants, with only a small portion being available for industry or residences to connect to. Those connections are expensive, costing thousands of dollars. At public forums and hearings, citizens have overwhelmingly opposed the project for environmental, public safety and social justice reasons. The pipeline would route through African-American and American Indian communities, many of them low-income.